Russian men aged 16 to 60 entering Ukraine without their families will only be allowed in if they have close relatives or an invitation, according to Ukrainian officials. 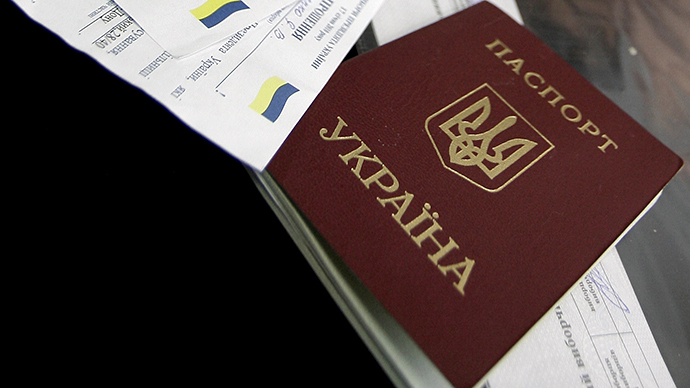 Previously, all Russians could travel to Ukraine with just their internal IDs. 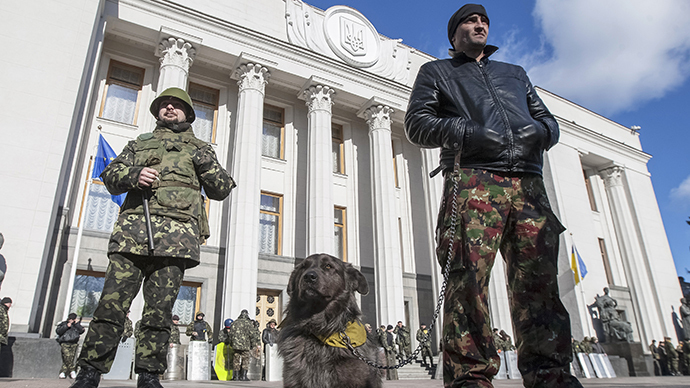 “The restrictions concern physically fit men, who can influence the political situation in the country,” a Ukrainian border agency official told RIA news agency. "We are imposing these controls at all border posts." The Russian foreign ministry has demanded an official explanation for the move, and said that it will consider counter measures. Thirty people were already made to disembark from a train crossing Ukraine on a route between Russia and Belarus, according to Interfax news agency. 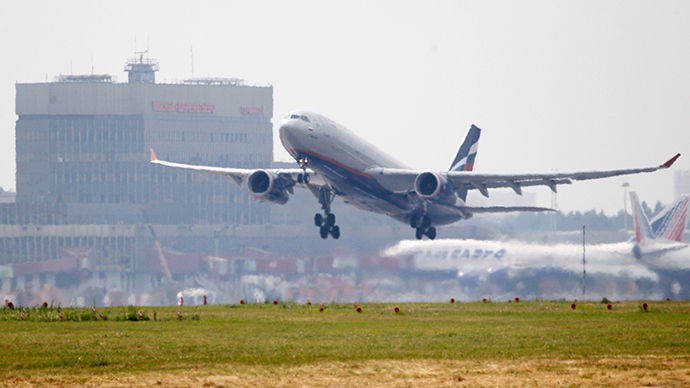 Russian national carrier Aeroflot published the new restrictions - issued by the Ukrainian border service for all forms of transport - on their website. One set concerns travelers from mainland Russia, and another even stricter set of limitations for those from Crimea, which seceded from Ukraine last month. Mainland male adult Russians will have to present documents confirming that their relatives live in Ukraine, or have recently died there. This may be substituted with a personal notarized invitation from an individual or an organization, or special permission from the Ukrainian border service. Those traveling from the mainland with women and children will remain unaffected. Unrestricted travel between the two countries was a holdover from the Soviet Union, and millions of nominally Russian and Ukrainian citizens have lived in their neighboring country and crossed the border freely for decades. Authorities in Kiev considered imposing visas following the toppling of Viktor Yanukovich in February, but instead have been conducting discretionary checks, barring 'undesirable' Russians from entering at will. Several Russian journalists have also been stopped and turned away under the pretext of lacking the finances to support themselves. Ukrainian border authorities said this week that they have refused entry to more than 12,000 Russians since February. Kiev has accused the Kremlin of sparking and controlling the protests and occupations of government buildings that have plunged the East of the country into chaos, and interim Prime Minister Arseniy Yatsenyuk has said that he has “incontrovertible evidence” that there are Russian citizens involved in the stand-off between special forces and protesters. 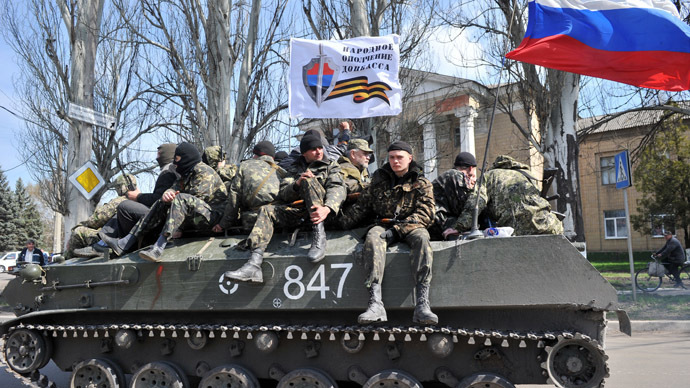 During Thursday’s televised hotline, Vladimir Putin flatly denied that Moscow had sent anyone to the east of Ukraine. Aleksandr Kots, a journalist working for Russia's Komsomolskaya Pravda newspaper told RT that peaceful pro-Russian activists protesting in - though not in control of - Donetsk airport say they "will not take orders" from Kiev over the new restrictions. Instead, demonstrators have called for direct negotiations with the government.